For fans of Asian arthouse films, Shunji Iwai is already a big name. 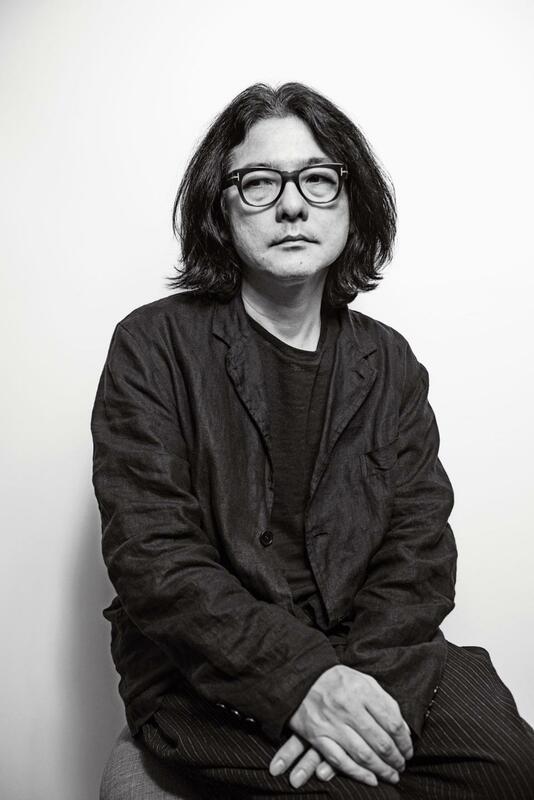 The 55-year-old Japanese auteur director enjoys a cult following in China, with his works such as Love Story (1995) and All About Lily Chou-Chou (2001) incredibly popular among the people born in the 1980s and 90s. Most of Iwai’s films focus on themes involving youth and women. He is known for his groundbreaking style. Known as the “Iwai aesthetic,” it features a combination of poetic visuals, long takes and a use of classical music that evoke sentiments and longing for youth. Iwai’s latest release, Last Letter, is his first made in China. Produced by Hong Kong filmmaker Peter Ho-Sun Chan and starring actress Zhou Xun, Last Letter tells an intricate story of love, loss and longing through letters that intertwine the fates of Yuan Zhihua (played by Zhou), a married woman with children, her recently deceased sister and a novelist (played by actor Qin Hao) who has for decades been deeply infatuated with Yuan’s sister. Letters may seem old-fashioned these days, especially in the era of smartphones and social media. However, correspondence, a recurring motif in Iwai’s films, plays a significant role in his narrative, linking time and space, memories and reality and also the fates of characters. Last Letter also showcases the beauty of the written word, though the setting is changed to Northeast China. The film opens solemnly with the funeral of Yuan Zhinan, who committed suicide at 45 after suffering from years of domestic violence and depression, leaving behind two children, Mumu and Chenchen, a younger sister and her parents. An invitation to her 30-year high-school reunion comes soon after the funeral. 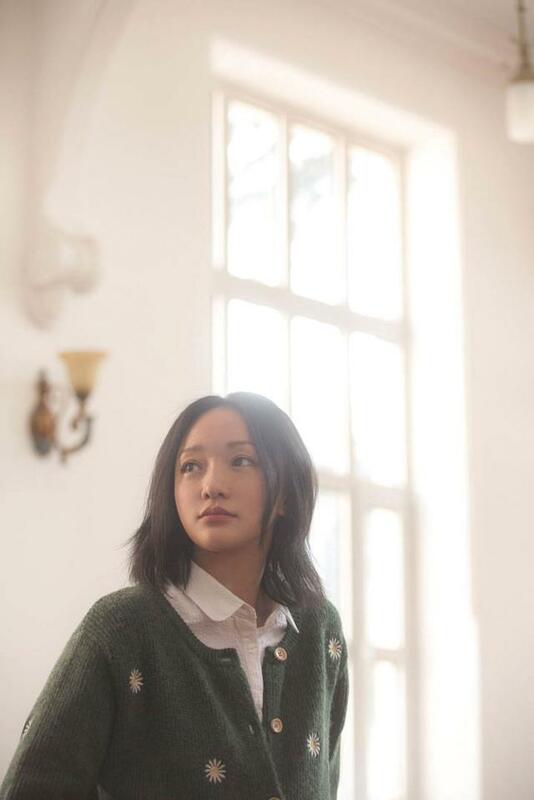 Zhinan’s younger sister, Zhihua (Zhou), chooses to go in her place to inform her classmates of Zhinan’s passing, but instead finds everyone mistakes her for her late sister. At the reunion, Zhihua runs into her high school crush Yin Chuan (Qin Hao), a failed novelist who has loved her more popular sister for years. In her youth, Zhihua would pass messages between Yin and Zhinan. Now, with Yin eager to rekindle their relationship, Zhihua chooses to correspond through letters – as a way to avoid leaving any traces online that would arouse her husband’s suspicions. One revelation after another drives the story, intercut by the lengthy flashback scenes. Letter by letter, the complex stories weaving this unusual love triangle is revealed. Iwai says the idea for Last Letter was inspired by his previous web series Chang-OK’s Letter (2017). Having originally written the story with a Korean setting in mind, Iwai said it took the production team a long time to localize the story for China. Since a crucial part of the film involves letter writing, convincing audiences that a modern story would choose an old-fashioned means of communication was a challenge. In Iwai’s original screenplay, Zhihua receives a text from Yin Chuan after the reunion, saying “I’ve loved you for all these years,” (Yin is pretending to mistake Zhihua for her sister). Zhihua’s husband accidentally noticed the message and immediately becomes furious. He smashes her phone into pieces. Instead of buying a new phone, Zhihua started to write letters to Yin. To the Chinese production team, this was implausible. “In China, if a woman’s mobile phone was shattered by her husband, it is impossible for her to not to buy a new one herself. Women on our team insisted that such thing perhaps might occur in Japan, but definitely not in China. They believe Chinese wives are far less obedient and unlikely to tolerate such treatment,” said the film’s producer Peter Chan. To make the letter-writing plot more believable, the production team added some background: Zhihua still has feelings for Yin three decades later. She attended her sister’s reunion in the secret hope she would see her high school crush again. Feeling guilty, she doesn’t fight back when her husband breaks her phone. Iwai stressed that Peter Chan and team were essential in making the story feel true to the place. For Iwai, the most interesting part of filming Last Letter was learning about the cultural differences between China and Japan, such as funerary customs. “I was so shocked by the differences... In China, funerals are comparatively short – usually lasting several hours, whereas in Japan, it often takes a whole day to go through all the funeral rites and other activities. Also I was told that in China, the elderly are not supposed to attend the funerals of the young, which is not the case in Japan,” Iwai told NewsChina. The director was also impressed by the differences in family and interpersonal relations. “The scene that impressed me most was the one between Zhihua’s husband and his mother. The mother and son sit so close to each other. In Japan, one would seldom see a mother sitting that close to her son. They would keep a certain distance. I’ve made up my mind that next time I go home, I’ll try to sit closer to my mother,” Iwai said. Iwai has always had his eye on the international market. The experience he has accumulated has given him the skills to work with film crews across the world. His past work includes New York, I Love You (2008), the US/Canada co-production Vampire and the Paris-set film I Have to Buy New Shoes (2012). Actress Zhou Xun was excited to collaborate with Iwai. It was her first role as a middle-aged woman with a teenage daughter. “I was looking for a challenge, and, fortunately, the chance came,” Zhou told NewsChina. Despite the language barrier, Zhou still felt connected to the director’s ideas during filming. “Though we can’t understand each other’s language, at our age, we’ve had similar life experiences which lead to a mutual understanding. We simply resonated with many emotions and feelings without needing to explain them,” Zhou said. Despite his fan base, the film opened to mixed reviews. Last Letter received a rating of 7.1/10 on Douban, China’s leading review website. Many called it a copy of his 2005 feature debut Love Letter. Some argued it has a strikingly similar formula: Love Letter tells a story of two young women exchanging letters to discover a hidden love. Similarly, it deals with lost loves, mistaken identity, memories and letter-writing. In both films, storytelling switches between past and present. Iwai rarely tells stories involving middle-aged characters. Across his major works, Iwai’s protagonists have often been young characters trying to figure out who they are and how they matter to the people in their lives. Most of them are notably young women. Iwai admitted to NewsChina that he initially planned to write a story about youth, but middle-aged characters lend themselves to heavier themes, such as thoughts about death. “Instead of constructing a totally new system and a new set of values, in this film, I have tried to utilize certain old elements to create an intertextual effect, to make it a similar love letter story with heavier subjects,” Iwai said. Or as Chan explained, if Love Letter had been a bittersweet tale of a young love, then this one is about loss and regret in one’s adult years. Iwai said he’s never identified as only a director. “People call me ‘Director Iwai,’ but for me, I only feel like I’m a director when I’m making a film. Indeed, I have been directing for over two decades, but I also spend lots of time writing screenplays, novels, composing and painting… Some filmmakers like to be called a ‘director’ while I’d rather be called a ‘creator,’” he said. His style, known as the “Iwai aesthetic,” features exquisite visuals, slow motion shots, fast movements and a strong use of music. One can trace his trademark style to his roots as a TV and music video director in the early 1990s. Iwai is masterful in his choice of score, picking music that precisely conveys particular moods and atmospheres. He composed the score and compiled the soundtrack for Last Letter. “If I had not become a director, I might have been a musician,” he said. However, for Iwai, the two art forms are very different. He compares the filmmaking process to oil painting, while music composition is like watercolors. “It takes much longer to make a film and you need to be patient for the final outcome. Composing music, however, requires spontaneous inspiration,” Iwai said. “I would be completely absorbed in the world of music when composing, in the world of fiction when writing, and in film when directing. My mind has clearly divided channels to deal with different forms of creation,” the director said. He says that whatever he creates, the only difference is the artistic form. These different skills in novel-writing, filmmaking and composing have a complementary impact on his creations. Iwai is more interested in details and mood rather than building up plots or clear themes. “I always use elements [such as light and sound] and scenery to let audiences precisely feel the emotions and feelings of characters, see what they see and feel what they feel. Whatever forms of art I am doing, I always follow this logic,” Iwai said. “Even though the film Last Letter mainly talks about loss and regrets in life, I still attempt to deliver a sense of warmth to audiences,” he added.